Astronomer Jason Wright is determined to see that happen. At a meeting in Seattle of the American Astronomical Society in January, Wright convened “a little ragtag group in a tiny room” to plot a course for putting the scientific field, known as SETI, on NASA’s agenda. 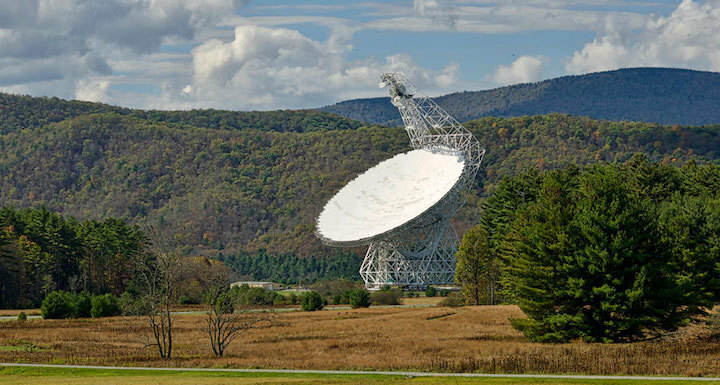 SETI searches date back to 1960, when astronomer Frank Drake used a radio telescope in Green Bank, W.Va., to listen for signals from an intelligent civilization (SN Online: 11/1/09). But NASA didn’t start a formal SETI program until 1992, only to see it canceled within a year by a skeptical Congress. Private organizations picked up the baton, including the SETI Institute, founded in Mountain View, Calif., in 1985 by astronomer Jill Tarter — the inspiration for Jodie Foster’s character in the movie Contact (SN Online: 5/29/12). Then in 2015, Russian billionaires Yuri and Julia Milner launched the Breakthrough Initiatives to join the hunt for E.T. But the search for technosignatures still hasn’t become a more serious, self-sustaining scientific discipline, Wright says. “If NASA were to declare technosignatures a scientific priority, then we would be able to apply for money to work on it. We would be able to train students to do it,” Wright says. “Then we could catch up” to more mature fields of astronomy, he says. Wright himself is a relative newcomer to SETI, entering the field in 2014 with a study on searching for heat from alien technology. He was also one of a group to suggest that the oddly flickering “Tabby’s star” could be surrounded by an alien megastructure — and then to debunk that idea with more data (SN: 9/30/17, p. 11). THE SETI VANGUARD Astronomer Jason Wright (third from the left, wearing sunglasses) and his students visited the Green Bank Telescope as part of the first-ever SETI graduate course at Penn State University. When NASA requested a report in 2018 on what technosignatures are and how to look for them, SETI researchers thought hopefully that the space agency might be ready to get back into the SETI game. Colleagues tapped Wright to organize a meeting to prepare the technosignatures report, posted online December 20 at arXiv.org. But Wright didn’t stop there. He convened the new workshop group with the goal of dividing up the work of writing at least nine papers on specific SETI opportunities for the decadal survey. By contrast, there was only one submission on SETI research, written by Tarter, in the 2010 decadal survey. The SETI situation has also evolved since the 2009 launch of the Kepler space telescope, which discovered thousands of exoplanets before its mission ended in 2018 (SN Online: 10/30/18). Some of those planets outside our solar system are similar in size and temperature to Earth, raising hopes that they may also host life. Old arguments that planets like Earth are rare “don’t hold much water any longer,” Wright says. The exoplanet rush has sparked a surge in research about biosignatures, signs of microbial life on other planets. NASA’s next big space telescope, the James Webb Space Telescope, is planning to search directly for signs of alien life in exoplanet atmospheres (SN: 4/30/16, p. 32). So far, though, no one has found any biosignatures, let alone technosignatures. But the focus on searching for the one makes the case for ignoring the other seem all the weaker, Wright says.